Clean and crisp. The kitchen is about Clean lines, reduced ornamentation. These speak to the idea of creating a Kitchen space that is sophisticated and smart, yet comfortable and calming. 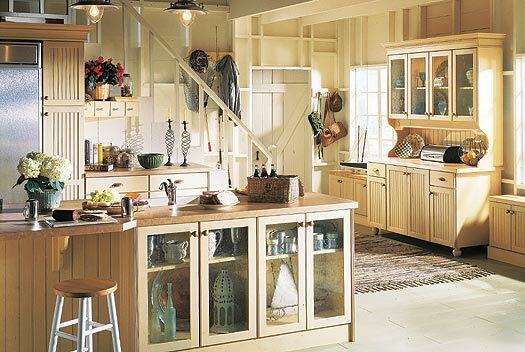 This kitchen is restful retreat from Kraftmaid, a premier kitchen product manufacturer. This is a part of the Simple Elements range of Kraftmaid. This entry was posted on September 24, 2008 at 9:29 pm and is filed under Kitchen. You can follow any responses to this entry through the RSS 2.0 feed. You can leave a response, or trackback from your own site.